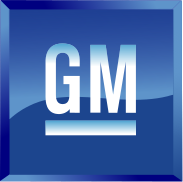 WASHINGTON (The Nil Admirari) - General Motors, a person who confessed to killing over 100 people using a defective ignition switch in automobiles it manufactured, agreed to pay $900 million yesterday. This morning, GM announced it was "very sorry" for the first degree murders it was responsible for committing over more than a decade, and asserted a trial resulting in either life in prison or the death penalty was not a realistic criminal penalty for the type of person it was. "My motive for killing so many people was financial gain, and I am very sorry for that. Having to pay $900 million for my criminal actions is absolutely a deterrent, and I promise never to kill over 100 people ever again," stated GM, a legal person who claimed he was "consumed by guilt for having to pay so much money for my actions." A picture of serial killerGeneral Motors (Above). GM added, "Throwing me in prison or sentencing me to death would have kept me away from all of the people I did not kill by ignoring a cheap and easy fix for the defective ignition switches. I promise not to make them victims of another shrewd cost-benefit analysis." The Justice Department explained it thought the settlement with GM, whom it compared to serial killer Ford and its use of faulty gas tanks to murder people in the 1970s, was "absolutely fair," and the punishment "totally brought justice to those killed by GM." At the end of the press conference, General Motors announced it was releasing a new car in 2017 called the "Brakeless Carriage."